The designs include a tower with a Sky Garden representing the Auckland landscape, through to a local design inspired by a Māori korowai (cloak). Ten designs for the new hotel-residential building at 65 Federal St were created by London-based architects Zaha Hadid, locals Warren and Mahoney and international firms Woods Bagot, Cox Architecture, and Elenberg Fraser as part of an international design competition run by Melbourne-based property development company, ICD Property. The designs were revealed by the architects at What’s Next Auckland?, an event that doubled as a forum to discuss the future of Auckland’s skyline and development of the city. Warren and Mahoney’s entry is inspired by a korowai, which can be seen in the building’s cascading façade, and refers to the building’s connection to its inner-city location, the wider city, and the people and visitors of the city. For Warren and Mahoney Principal Andrew Barclay, the Federal St project is an opportunity to create a building that invigorates the city and reflects Auckland’s unique population, cultural diversity and geography. “At present Auckland does not have a mixed-use hotel and residential building that has these qualities. The winner will be announced in October by ICD Property, a Melbourne-based property development company, which will bring the winning design to life at 65 Federal St near the Sky Tower. 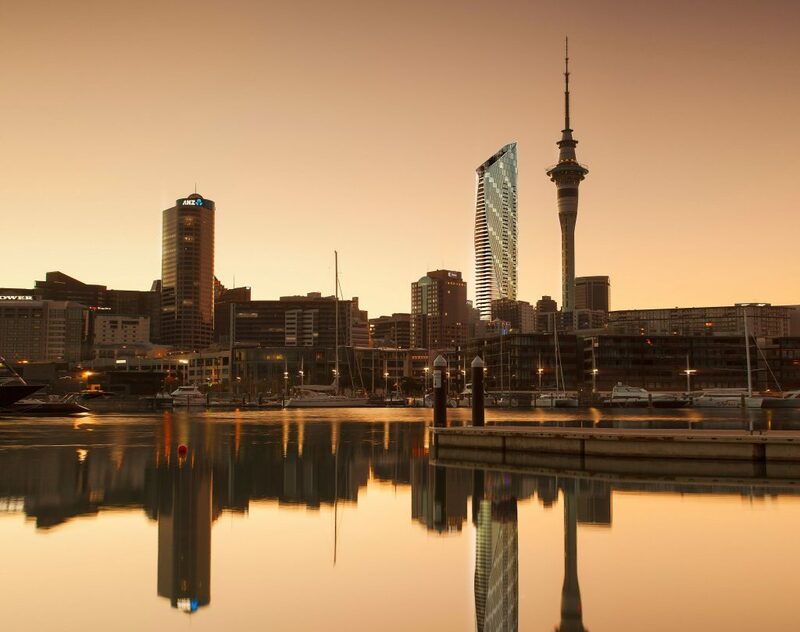 ICD Managing Director Michael Mai says all the designs are impressive and will bring an international standard of high-rise living to Auckland as well as contributing to the city’s future growth and development. “We’re very excited to be contributing to the fast-growing nature of Auckland city. “As ICD’s first international project outside of Australia, we chose Auckland because we see a strong future in continuing to work here. Michele Pasca di Magliano of renowned London firm Zaha Hadid Architects, whose design was inspired by bringing the city’s streetscape into the very heart of the tower with a Sky Garden, says Auckland has a great opportunity to re-engage with its architecture and enhance its own unique urbanism for the people of the city. Pete Miglis, Principal at Woods Bagot, says the project will transform Federal St and its surrounds, especially at street level with a focus on giving the streets back to the people. Phil Rowe, Cox Architecture, says the challenge posed by ICD’s Auckland project was to address how architects and designers can improve and inspire the future of Auckland. “It has to be done in a very Auckland way rather than importing what is perceived by fashion to be ‘best practice’. For Callum Fraser of Elenberg Fraser, the most exciting aspect of the Federal St project is delivering to Auckland an environment worthy of the city’s position as a leading global tourism destination. “This is a real opportunity to see what the future looks like. “The world looks to New Zealand for its freedom, ingenuity and independence of thought.